David Pryce tells the GB story from last months ECBU campaign. Shock in early game loss to Latvia. Get through by beating Spain by enough points and meet Portugal in pre-quarter. Ease through both pre-quarter and QF to semi final vs Germany, close game but go catch it here. GB and Portugal Open after the Brits take the win. Photo courtesy of Chris Whittle. Strange schedule (re seeding top 8?!) meant replay of Ireland game for QF. Disappointing loss in QF and next game against France gives another pool replay vs Poland for 7th/8th placement. After losing Francesca Scarampi to a dislocated shoulder for a huge layout score in tight game, play restarts. Win in sudden death, finish 7th. Only lost to eventual winners Russia in pools. Beat France 12-9 in quarters. Universe point loss to Swiss in semi. Final game loss to Germany but I feel this squad is not done. Took Gold in a great final against France. Always made points cap and only team to score more than 7 were France in the final. Si Hill really gets flying after securing his medal. Photo courtesy of Clarwen Snell. Few tight games to starts against France and Belgium winning by 2 and 3. Better play against Spain and Austria winning both 13-4. Final pool game against Germany very tight but win by 2. Semi against France = win. Final against Germany again another tight affair and with 10-8 lead the Germans come back to take game. Early blip to UEI, loss in universe point. Other pools games go the right way except second Germany game. Final is third game vs Germany. Tight affair but loss by 2, another silver for GB. Finished the weekend off in 3rd. 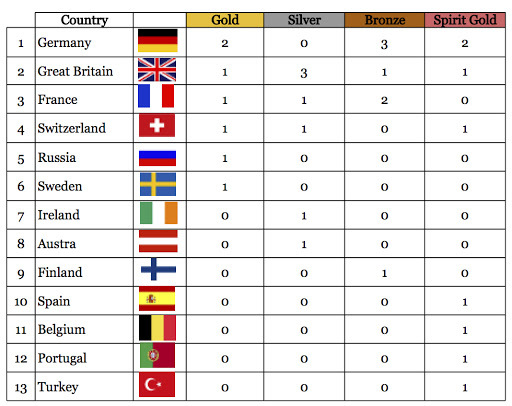 The full standings can be found here plus spirit results here. 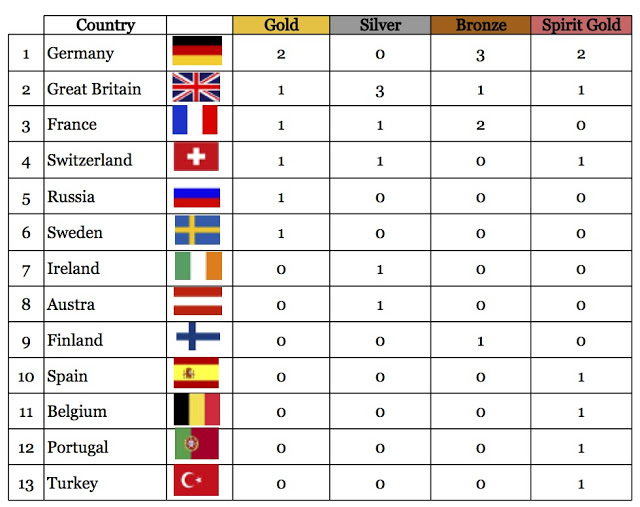 Here we collate all the country results into a medal table (like the Olympics) where it is ordered by number of Gold, Silver and Bronze medals we could get something like this. We can see that the teams that had a squad in every division come top 3, as expected. GB make second from losing out in the Open, Mixed Masters and Women’s Masters finals but only team to get a medal of every type. Special mention goes out to all the SOTG winners: Germany (Women’s Masters and Grand Masters), GB Mixed Masters, Switzerland Open, Spain Masters, Belgium Women’s and Turkey/Portugal Mixed. What does all this mean? 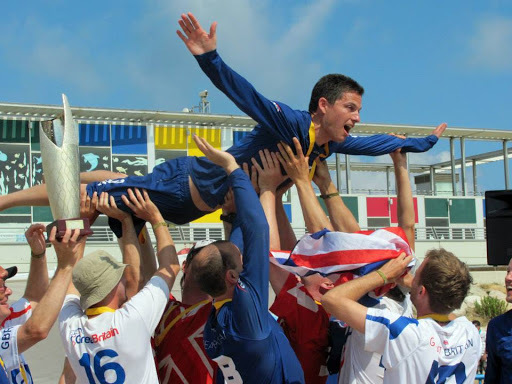 Well GB performed well in most divisions and as a player I know that many of the teams and players want more beach as well as representing their country. Worlds is in two years and teams might start to form even earlier to work on the strong basis of ECBU. 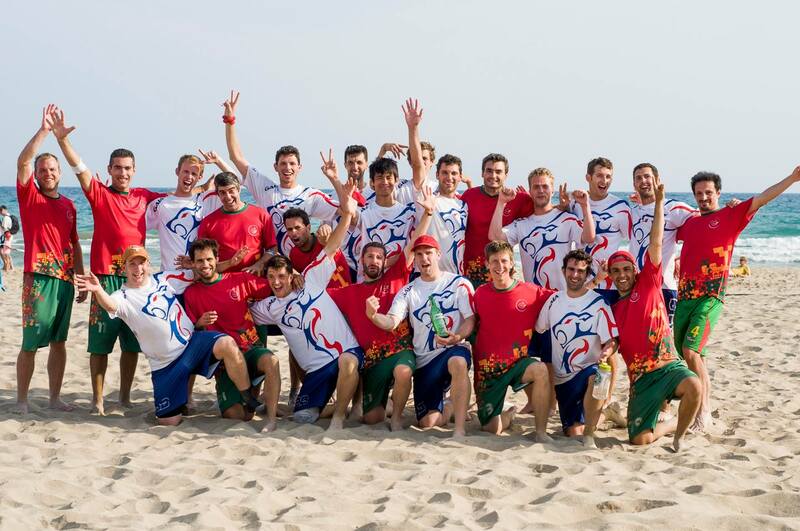 Keep an eye out at Paganello 2014 for some of these teams trialling players and structures ready to take on the world. Well that’s beach done with. More grass coverage coming up! DP @ tSG.